First time visiting the lighthouse in pacific grove , it was pretty cool. It is the oldest lighthouse on the west coast. 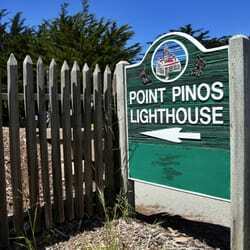 Oldest lighthouse on the West Coast, Point Pinos Lighthouse has been operating continuously since February 1, 1855.